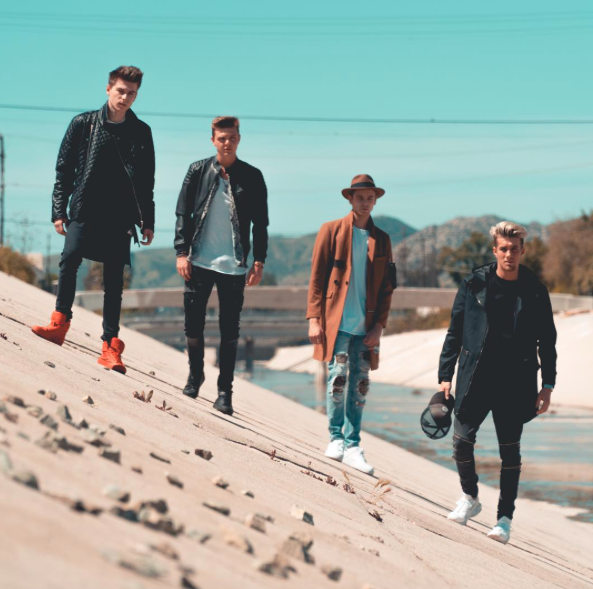 Article: State Of Mind Gives A Behind The Scenes Look At Their New Music Video – Check Out Their Third Vlog Here! There’s only one journey to go on and it’s the State Of Mind journey. Boy band phenomenon, State Of Mind has been keeping busy with their worldwide takeover – from Belgium straight to the US and all across the globe, State Of Mind’s incredible music, phenomenal stage presence, and outstanding projects has and continues to leave everyone in awe and there is no question as to why their success continues to skyrocket as the milliseconds go by. This year will definitely continue to be State Of Mind’s year as they have a lot more exciting projects in store that they are ready to share with their fans – from new music, their highly-anticipated, debut album, more performances, and even a new music video! Speaking of a new music video, State Of Mind shared the third chapter of their journey on their YouTube channel and in this video, they gave a behind the scenes look at what it was like working on set of their music video for their song, “Lose Yourself.” State Of Mind band members: Jaxon, Shane, Sebastian and Kyle gave fans an inside look at their fun time working on their remarkable music video which is bound to be another one of their many hits. State Of Mind continues to work so hard to bring out the very best for all of their fans to enjoy, so needless to say, they don’t get much down time. However, when they do, it’s always a great time and State Of Mind definitely lives it up to the fullest. The vlog also shows State Of Mind members soaking up some sun on their first day off after eight full days working in the studio in Los Angeles. Check out State Of Mind’s sensational, new vlog below. Plus, be sure to watch their previous vlogs on their YouTube channel here. Follow State Of Mind on Twitter: @StateOfMindWrld and on Instagram: @StateOfMindWorld and check out our interview on State Of Mind’s YouTube channel and the Alexisjoyvipaccess YouTube channel below. Previous VIPAccessEXCLUSIVE: Electric Sky Wine Joins A Fun Day Of Wrestling, Good Music & More At Interscope Records’ Party! Next Article: Nickelodeon Has A Lot Of Fun In Store During THE PLAYERS Championship And The “School Of Rock” Cast Stars In The “NickSports Presents Golf Rocks Weekend” Segment! Psyched & Can’t wait for the music video guys & you’re are totally Rockin right now ! Luv all the interviews , interviewees & interviewer . Talented, diversed, good lookin’ , awesome & not just trendy but will always stay on our own state of mind !